Me in the reflection of my Yaris. I plan to keep it stock except for window tinting. Here's my black Yaris Sedan, it was bought about a month ago, and we have already put 3000 miles on it, averaging 38 mpg, 65% hwy. 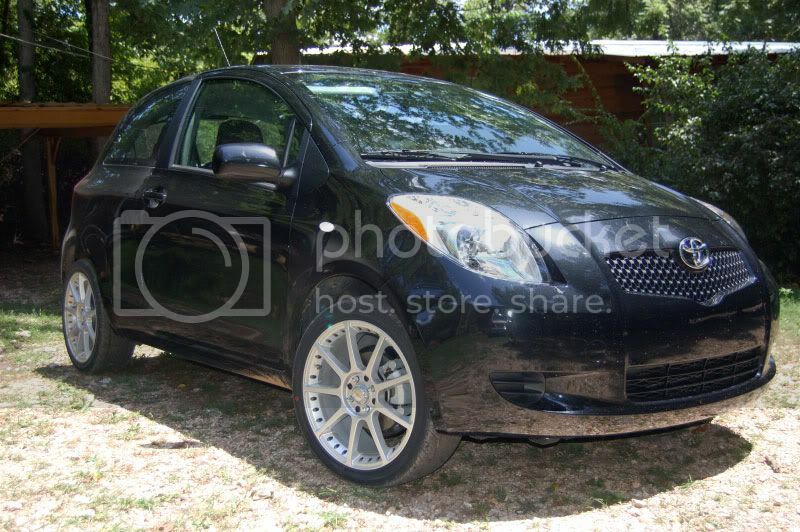 Hi everyone, I just picked up my Yaris on July 8th.. the funny thing is I haven't seen anyone comment on the paint for the Black Sand Pearl, I thought the black was going to to black black but its not its like multi-color glitter black in the sun..its very very pretty.... are all the blacks with way or just this one? Anyway I had 20% tint put on the car yesterday, it needs to be washed (but its raining here everyday).. enjoy.. rims coming soon (others didnt fit right).. mud thinging, ext. tip, bumper protector and new petals already on order form TRDSparks just waiting for them to arrive to add them to the car..
Last edited by PixieDawn; 07-18-2006 at 12:41 PM. Very nice pictures PixieDawn. That car is sharp looking! Of course I might be a little bias as I have a black car as well, no not the Yaris But I make due. Thanks for the pictures! Keep us posted! Hope you like your ride! Wow...I'm envious!! Car looks great! I'm still about 12 weeks out on my Black Yaris liftback order. Did you get the power package? what options? Also wondering what wheels you are putting on? I have been thinking about taking them off but not sure yet ... lol ..
Last edited by TRD_Yaris; 08-03-2006 at 12:56 AM. Wheels are 17" Kazera KZ-S wrapped in Kumho 205/45HR-17 ECSTA ASTs. Last edited by riwosi; 08-04-2006 at 10:02 AM. Hey where did you get those pics??? That my car !!! IT's my parking card on the miror!! 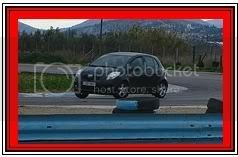 Hers a couple of MY Yaris before and after !!! looks great! I just ordered my 07 black lift back five speed, I can't wait to get it so I can slamit with my proline gunmetal 16's!! I just hope the black holds up okay, its my first black car. I almost got the silver one but the black just looks SICK!